"But we all, with unveiled face reflecting as a mirror the glory of the Lord, are changed into the same image from glory to glory, even as by the Spirit of the Lord." --2 COR. iii. 18 (Revised Version). I suppose there is almost no one who would deny, if it were put to him, that the greatest possible attainment a man can make in this world is likeness to The Lord Jesus Christ. Certainly no one would deny that there is nothing but character that we can carry out of life with us, and that our prospect of good in any future life will certainly vary with the resemblance of our character to that of Jesus Christ, which is to rule the whole future. We all admit that; but almost every one of us offers to himself some apology for not being like Christ, and has scarcely any clear reality of aim of becoming like Him. Why, we say to ourselves, or we say in our practice, it is really impossible in a world such as ours is to become perfectly holy. One or two men in a century may become great saints; given a certain natural disposition and given exceptionally favouring circumstances, men may become saintly; but surely the ordinary run of men, men such as we know ourselves to be, with secular disposition and with many strong, vigorous passions--surely we can really not be expected to become like Christ, or, if it is expected of us, we know that it is impossible. On the contrary, Paul says, "We all," "we all." Every Christian has that for a destiny: to be changed into the image of his Lord. And he not only says so, but in this one verse he reveals to us the mode of becoming like Christ, and a mode, as we shall find, so simple and so infallible in its working that a man cannot understand it without renewing his hope that even he may one day become like Christ. In order to understand this simplest mode of sanctification we must look back at the incident that we read in the Book of Exodus (xxxiv. 29-35.). Paul had been reading how when Moses came down from the mount where he had been speaking with God his face shone, so as to dazzle and alarm those who were near him. They at once recognized that that was the glory of God reflected from him; and just as it is almost as difficult for us to look at the sun reflected from a mirror as to look directly at the sun, so these men felt it almost as difficult to look straight at the face of Moses as to look straight at the face of God. But Moses was a wise man, and he showed his wisdom in this instance as well as elsewhere. He knew that that glory was only on the skin of his face, and that of course it would pass away. It was a superficial shining. And accordingly he put a veil over his face, that the children of Israel might not see it dying out from minute to minute and from hour to hour, because he knew these Israelites thoroughly, and he knew that when they saw the glory dying out they would say, "God has forsaken Moses. We need not attend to him any more. His authority is gone, and the glory of God's presence has passed from him." So Moses wore the veil that they might not see the glory dying out. But whenever he was called back to the presence of God he took off the veil and received a new access of glory on his face, and thus went "from glory to glory." "That," says Paul, "is precisely the process through which we Christian men become like Christ." We go back to the presence of Christ with unveiled face; and as often as we stand in His presence, as often as we deal in our spirit with the living Christ, so often do we take on a little of His glory. The glory of Christ is His character; and as often as we stand before Christ, and think of Him, and realize what He was, our heart goes out and reflects some of His character. And that reflection, that glory, is not any longer merely on the skin of the face; as Paul wishes us to recognize, it is a spiritual glory, it is wrought by the spirit of Christ upon our spirit, and it is we ourselves that are changed from glory to glory into the very image of the Lord. Now obviously this mode of sanctification has extraordinary recommendations. In the first place, it is absolutely simple. If you go to some priest or spiritual director, or minister of the Gospel, or friend, and ask what you are to do if you wish to become a holy man, why, even the best of them will almost certainly tell you to read certain books, to spend so much time in prayer and reading your Bible, to go regularly to church, to engage in this and that good work. If you had applied to a spiritual director of the middle ages of this world's history and of the history of Christianity, he would have told you that you must retire from the world altogether in order to become holy. Paul says, "Away with all that nonsense!" We are living in a real world; Christ lived in a real world: Christ did not retire from men. And He says all that you have to do in order to be like Christ is to carry His image with you in your heart. That is all. To be with Him, to let Him stand before you and command your love, that will infallibly change you into His image. I do not know that we sufficiently recognize the simplicity of Christian methods. We do not understand what Paul meant by proclaiming it as the religion of the spirit, as a religion superior to everything mechanical and external. Think of the deliverance it was for him who had grown up under a religion which commanded him to go a journey three times a year, to take the best of his goods and offer them in the Temple, to comply with a multitude of oppressive observances and ordinances. Think of the emancipation when he found a spiritual religion. 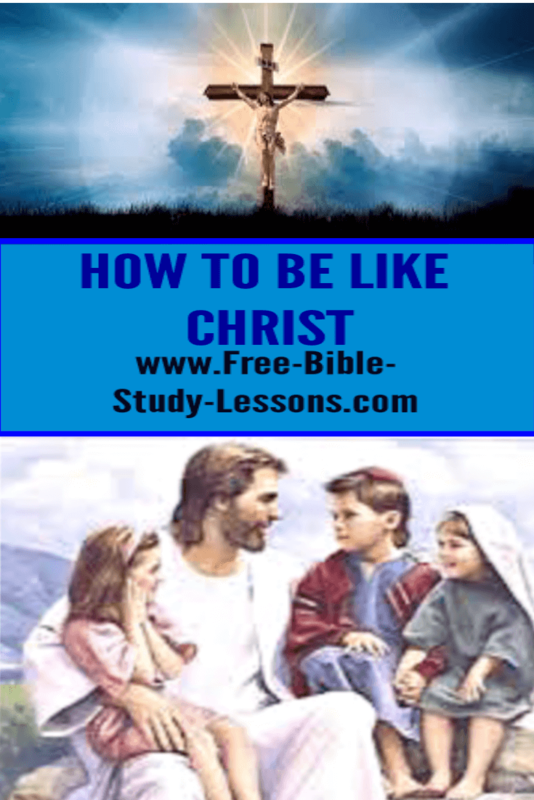 Why, in those times a man must have despaired of becoming a holy man; But now Paul says you will infallibly become holy if you learn this easy lesson of carrying the Lord Jesus with you in your heart. Another recommendation of this method is... Continued in Part Two.